High-capacity fibre connectivity is essential for 5G rollouts. UK businesses are set to receive a major connectivity boost, courtesy of SSE Enterprise. The company is set to unbundle 177 BT Exchanges to cope with an increased demand for high-capacity fibre connectivity. In that respect, the deployment will double SSE Enterprise Telecoms’ network reach, unlocking a further 180,000 UK business post codes. The company also said that by unbundling the exchanges, SSE Enterprise Telecoms will ‘futureproof its offering’, with a network capable of delivering 100Gbps. 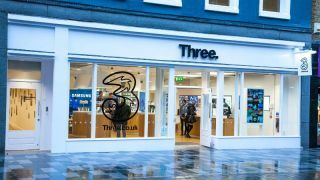 Three will be the first service provider to benefit from the enhanced network footprint, to underpin their 5G ambitions. “We have always placed great pride in our network and ensuring that it is in the best possible shape to serve our customers both now and in the future,” said Colin Sempill, managing director of SSE Enterprise Telecoms. SSE Enterprise says high capacity fibre connectivity is essential for 5G services. “Three UK’s use of the 177 exchanges is the first of several potential unbundling phases,” it added.